People often wonder about how psychotherapists and counsellors are trained and accredited. Do they have to have particular qualifications? How long do they study for and what exactly do they learn in their courses? When I was looking around for the best training course, I came across the Human Givens approach, developed by an Irish psychologist, Joe Griffin and an English psychotherapist, Ivan Tyrell more than 20 years ago. Unhappy with what they saw was the standard of some of the courses at that time, they started off by researching studies of which therapies had been proven to be effective and what was shown not to be. Taking those techniques that worked, modifying some of them based on current research, and adding new understandings based on the most recent neuroscience research and bringing them under one unifying therapeutic approach or organising idea, called the Human Givens approach. I liked what I saw and signed up, first for a Diploma course and then for a Master’s in Psychotherapy. It took me about 4 years to finish my training, which was on a part time basis. My Master’s degree was jointly taught by Nottingham Trent University and involved me developing, running and writing up a research project into the use of the Human Givens approach with a group of fibromyalgia sufferers here in Cork city. (Fibromyalgia is a devastating condition – symptoms range from extreme fatigue to constant pain and disturbed sleep.) I taught the skills of mindfulness and breathing, pacing, drawing on our internal and external resources and setting new and realistic goals. Results proved that the minding course did indeed really help their mood and sleep. I am delighted to be still running Mindfulness workshops for both the Cork Fibromyalgia Group and the Cork branch of the Irish ME Trust and also see clients with stress related illnesses on a one to one basis. Is it an accredited counselling training organisation? 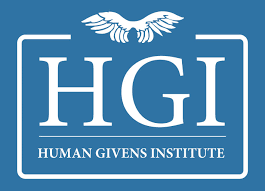 The Human Givens Institute (HGI) is the professional body for Human Givens Therapists and it holds the official worldwide register of accredited HG therapists. The Institute is accredited by the Professional Standards Authority (PSA), the highest accrediting body in the UK for health and social care professionals. Human Givens skills adhere to the National Institute for Health and Care Excellence (NICE) guidelines in the UK. What can Human Givens therapy do for you? 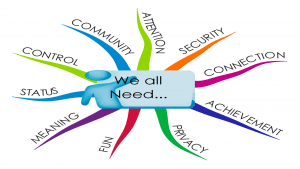 Give information and advice if needed – without jargon or “psychobabble”! If you would like to book a session with a qualified and experienced Human Givens counsellor here in Douglas, Cork, call Alison Winfield, Mindfully Well Counselling Cork on 087 9934541.